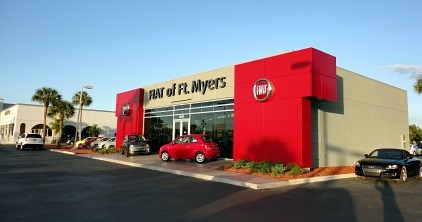 Dixie Buick Fort Myers and GMC, Galeana Kia, and Fiat are the next line-up of car dealerships on Ft Myer's Route 41. 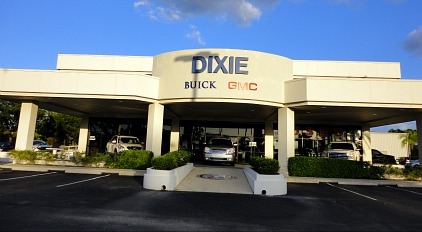 Dixie has an award winning sales and service team to help you purchase that perfect new or pre-owned vehicle. They have been in business since 1934. You can pre-qualify for a car loan online and also check their inventory and special deals and they don't charge dealer administrative fees and other added costs. For other area Buick dealers, go to Devoe Buick GMC in Naples, and Palm Chevrolet Buick GMC in Punta Gorda. 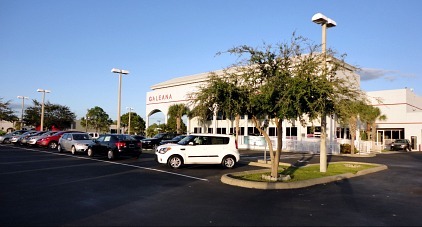 Galeana Kia Fort Myers is next up, and even though we have a Kia dealership in Cape Coral, you may still want to shop around. You have probably noticed the all of the crazy ads on TV from both dealers! Anyways, Galeana takes pride in offering courteous customer service, and prompt auto care from professional technicians. Get a price quote and look at their inventory online for new and pre-owned vehicles. For other area dealers, make sure you also go to Fuccillo Kia in Cape Coral and down to Airport Kia of Naples. Fiat of Ft Myers is a new dealership and sales specialists are happy to introduce their popular and internationally recognized line of vehicles to Southwest Florida. Italian design is showcased in Fiats, they are small yet sporty, efficient, performance cars. Specials such as Sign and Drive Leases are available, check for other specials and their new and used inventory.